On Saturday, January 18th at 5:00pm, Everyman Theatre will host a panel discussion on How Women's Voices Changed Our Culture in conjunction with the production of Crimes of the Heart. Hosted by radio personality Marc Steiner, panelists will include: Teresa Eyring (Executive Director, Theatre Communications Group), Jacqueline Lawton (Playwright and Dramaturg) and Jackson Bryer (Professor of American Theatre, University of Maryland). Beth Henley's Crimes of the Heart debuted in the early 1980s - the beginning of an era that celebrated the increased role of women in the workplace and a decade where the female voice was heard louder than ever before - not only theatre, but in politics, business, education and more. Over 30 years later, there are still surprising gender inequalities in average salaries, education and even the fact that female playwrights are still produced far less than their male counterparts. Why aren't women playwrights being heard on our stages? In this discussion, the impact, success and legacy of Beth Henley's Crimes of the Heart will offer a point of entry into the role women play in theatre today. Theatre Communication Group's Executive Director Teresa Erying will speak to the significance of Gender Parity in the American Theatre. D.C. based playwright and dramatrug Jacqueline E. Lawton will offer insight on life as a contemporary Black woman playwright. Jackson Bryer will provide historical perspective as a professor of American Theatre at the University of Maryland. Click here to learn more and here to purchase tickets. Dr. Jackson Bryer is a Professor Emeritus of the Department of English with more than 40 years of service to the University of Maryland. He was honored in 2004 with the university's Distinguished Scholar-Teacher Award. Over the years, Dr. Bryer has worked closely with the Department of Theatre as an affiliate faculty member and literary advisor, and his efforts have been instrumental in bringing such notable theatre practitioners as Edward Albee, Beth Henley, and Wendy Wasserstein to speak to our students. Dr. Bryer is the author, editor, co-author, or co-editor of 31 books,and has made 37 contributions to books, and 30 journal articles. 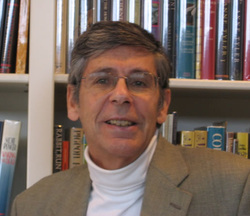 He has served as head, MLA Bibliography American Literature Section, 1968-78; co-founder and co-editor, Resources for American Literary Study, 1971-present; member, Executive Council, NEMLA, 1986-89; Advisory Editor, Eugene O'Neill Review; Editorial Board, American Drama; vice-president, Eugene O'Neill Society, 1989-93, president, 1993-96; president, F. Scott Fitzgerald Society, 1990-present; member, board of directors, PEN/Faulkner Foundation, 1990-present; member, UMCP Athletic Council, 1992-95, 1996-present; Chair, Art History Review Committee, 1995-96; Chair, College of Journalism Review Committee, 1980-81. 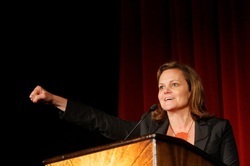 Teresa Eyring joined TCG as executive director in March 2007. Ms. Eyring has been an executive in theatres around the U.S. for over twenty years. Prior to joining TCG, she served as managing director of the Children’s Theatre Company (CTC) in Minneapolis since 1999. Eyring began her theatre career as director of development for the Woolly Mammoth Theater Company in Washington, D.C. in 1983. She completed an MFA in theater administration at the Yale School of Drama between 1986 and 1989. From 1989-1993, she was assistant executive director of the Guthrie Theater in Minneapolis, where she handled artist contracts, play commissions, and oversaw a $5 million theater renovation project . From 1994-99, she was managing director of the Wilma Theater in Philadelphia, where she spearheaded completion of an $8 million capital campaign and oversaw the construction and transition to a new 24,000 square foot theater facility on Philadelphia’s Avenue of the Arts. She was named a ‘Woman to Watch” by the Twin Cities Business Journal in July 2005. Eyring’s past affiliations include service as chairwoman of the Theatre Alliance of Greater Philadelphia, board member of WYBE-TV, executive committee member of the League of Resident Theaters; board member and Treasurer of Minnesota Citizens for the Arts; and board member of Intermedia Arts. She currently serves on the boards of the Performing Arts Alliance and The Actor's Fund. Eyring holds a BA from Stanford University and an MFA from Yale School of Drama. JACQUELINE E. LAWTON was named one of 30 of the nation's leading black playwrights by Arena Stage’s American Voices New Play Institute. Her plays include: Anna K; Blood-bound and Tongue-tied; Deep Belly Beautiful;The Devil’s Sweet Water; The Hampton Years; Ira Aldridge: the African Roscius; Lions of Industry, Mothers of Invention; Love Brothers Serenade (2013 semi-finalist for the Eugene O’Neill Theater Center’s National Playwrights Conference), Mad Breed, and Our Man Beverly Snow. Ms. Lawton’s work has been developed and presented at the following venues: Active Cultures, Classical Theater of Harlem, Folger Shakespeare Library, theHegira, Howard University, Kennedy Center’s Page to Stage Festival, Rorschach Theater Company, Savannah Black Heritage Festival (Armstrong Atlantic State University), Shakespeare Theatre Company, Source Theatre Festival, Theater J, and Woolly Mammoth Theater Company. She is published in Experiments in a Jazz Aesthetic: Art, Activism, Academia, and the Austin Project (University of Texas Press). Ms. Lawton received her MFA in Playwriting from the University of Texas at Austin, where she was a James A. Michener Fellow. She participated in the Kennedy Center’s Playwrights’ Intensive (2002) and World Interplay (2003). She is a 2012 TCG Young Leaders of Color award recipient and a National New Play Network (NNPN) Playwright Alumna. She has been recognized as a semi-finalist for the Eugene O’Neill Theater Center’s National Playwrights Conference and the Playwright's Center PlayLabs, and as a SheWrites Festival finalist. A member of Arena Stage's Playwrights' Arena and the Dramatist Guild of America, Ms. Lawton currently resides in Washington, D.C.